According to Dean Olson in the report "Alaska Reindeer Herdsmen: A Study of Native Management in Transition," that he authored in 1969, the idea for implanting reindeer into the Alaskan ecology came to Dr. Sheldon Jackson while he and Capt. M.A. 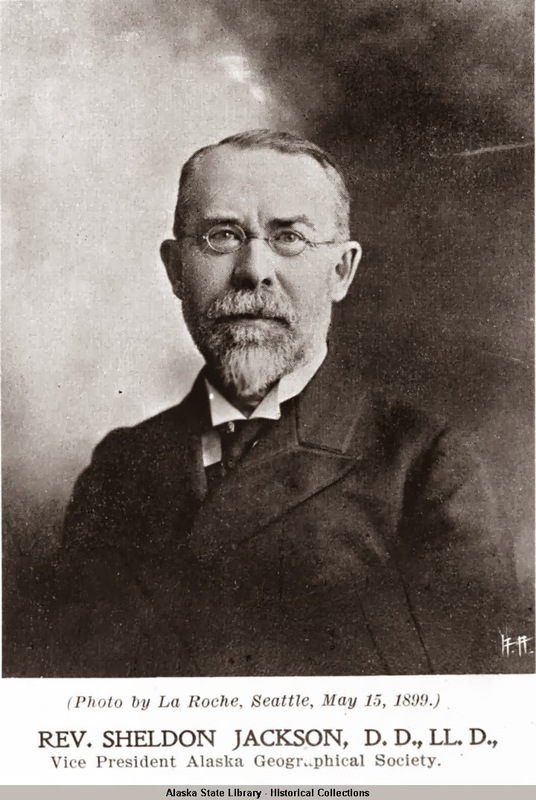 Healy set out on a cruise through the Arctic in 1890. Seeing Siberian Native economies built around reindeer the two began hatching a plan to import the animal across the Strait. Hoping to employ Natives as reindeer herders Jackson asked the federal government for the 2000 dollars. "Sheldon Jackson, D.D., LL.D., Vice President Alaska Geographic Society, May 15, 1899." Capt. M.A. Healy, U.S.R.M., Commanding U.S. Revenue Cutter "Bear." The government was unwilling to provide the funds so Jackson collected donations with which he shipped 16 deer from Siberia to the Aleutians. At that point, the reindeer industry began without haste. 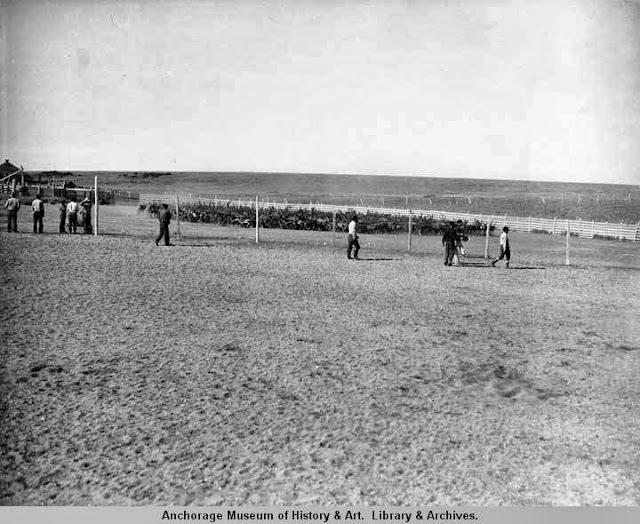 Jackson appealed to the federal government for funding and by 1892 four Indigenous Siberians came with a shipment of 171 of reindeer to Port Clarence Alaska, where a reindeer station was built as well as herding instructional facilities. 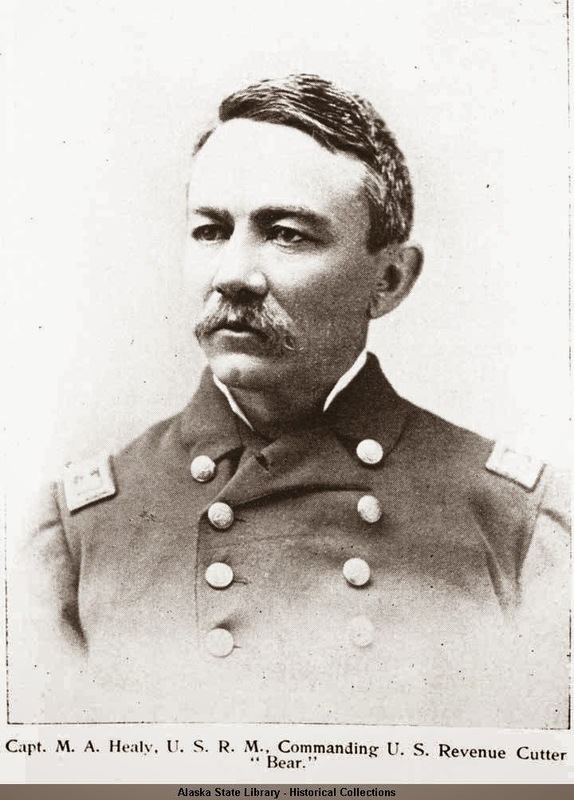 Olson reports Native resistance to the development in Wales, Alaska. Sounds like the reindeer station became a site of immense tension, resulting with the death of one worker. Two years after their arrival the Siberian Natives returned home. By the end of the century hundreds of reindeer lived in Alaska. Transportation routes for herds stretched throughout the Alaska mainland. According to Carrie Bucki Manager of Reindeer Research Program, University of Alaska Fairbanks, many people preferred hitching reindeer to sleds over dogs because reindeer ate grass and therefore less expensive to keep as work-animals. 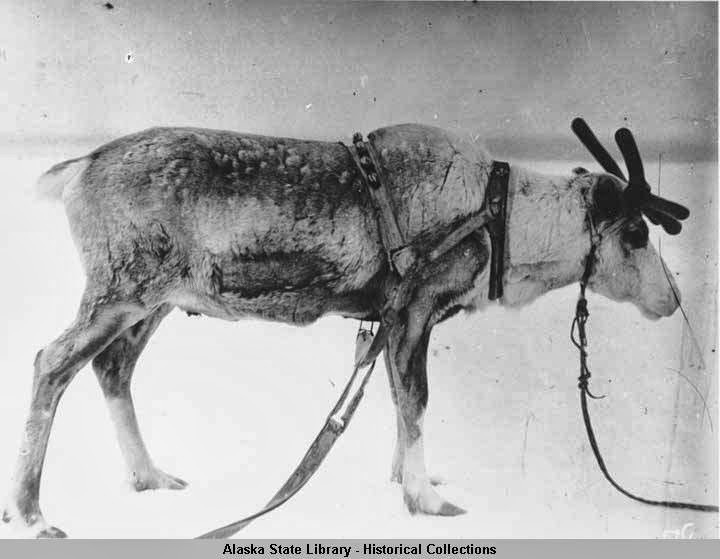 "A reindeer harnessed up for pulling a sled. Reindeer called Qimukti in Iñupiaq were commonly used for pulling sleds." Alaska Native herders worked throughout the mainland into the 20th century. Here are some photographs I found of Native folks herding. Take note the first image taken in Golovin, Alaska looks to be taken during one of the less snowy seasons. The image beneath that one Theresa Creek, Alaska appears to have captured the wintertime corralling of reindeer. 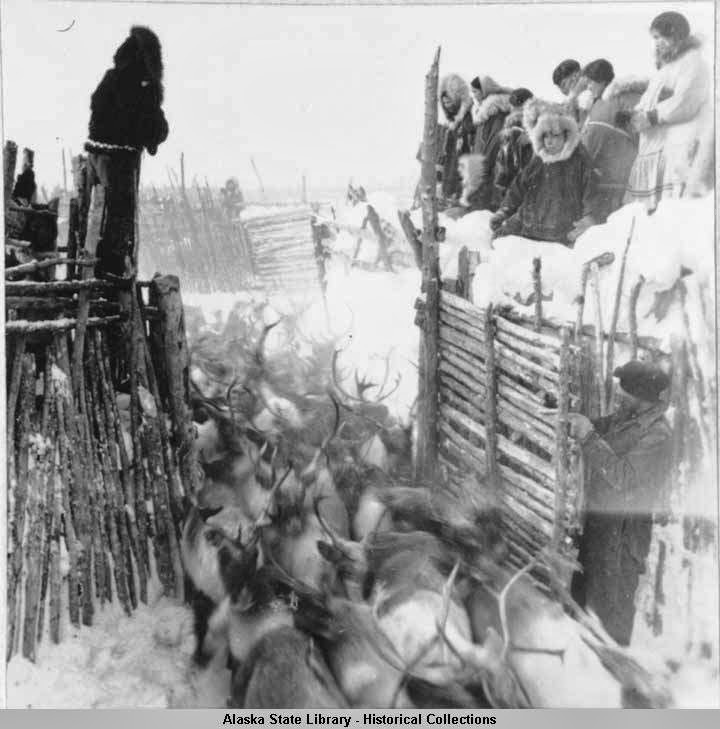 The next post will explore some of the social implications the reindeer industry brought Native life.